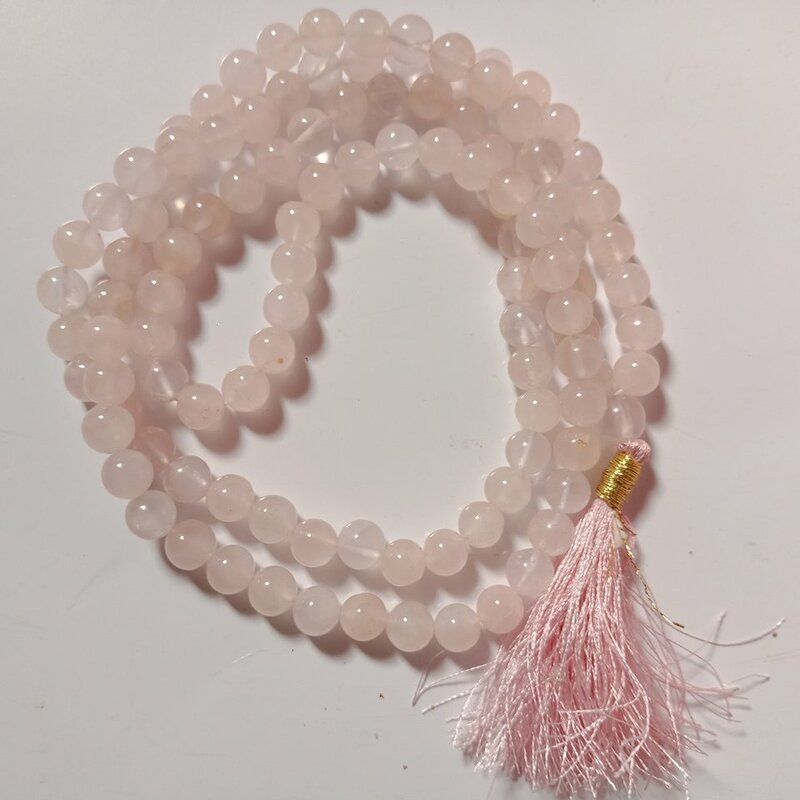 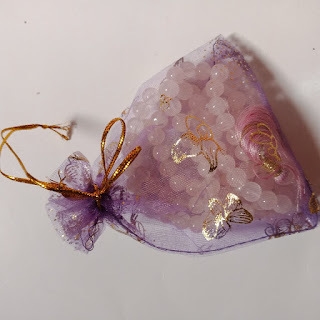 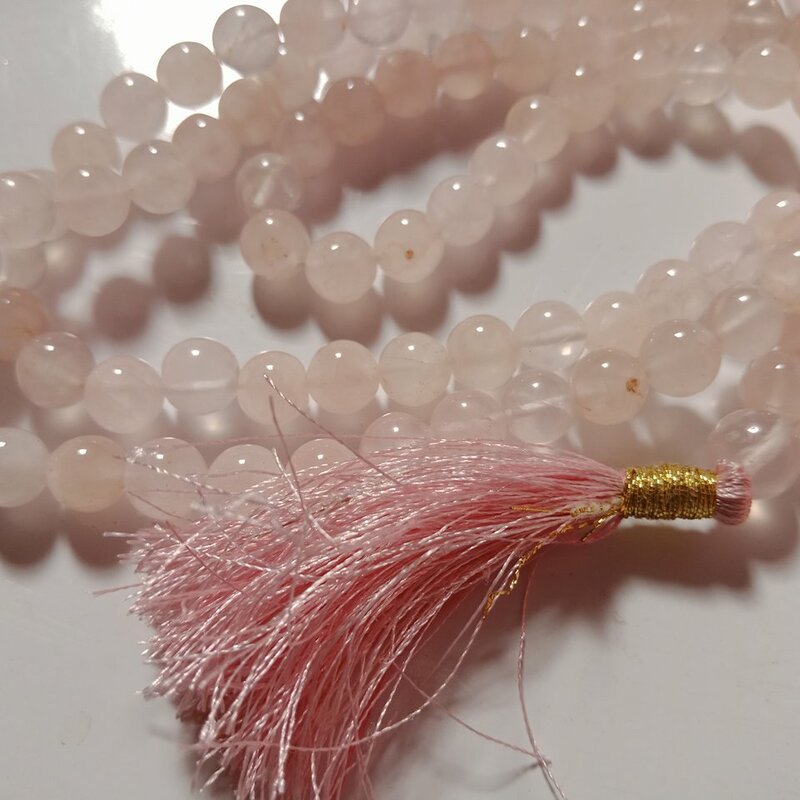 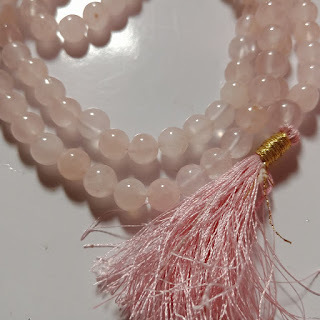 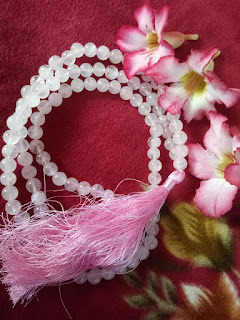 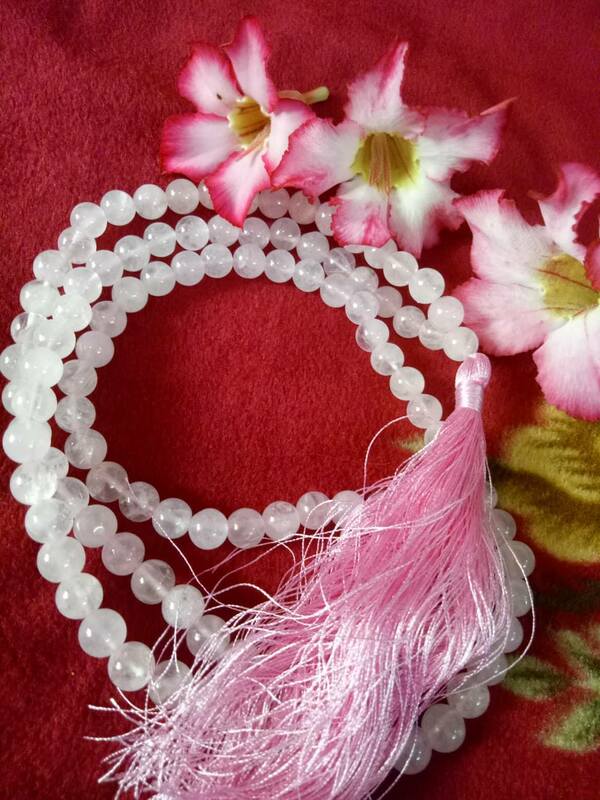 This beautiful pastel shade mala contains 108 + 1 8mm original rose quartz crystals strung in waxed cotton thread with gold and pink satin tassels. Rose quartz, like some other crystals form when magma is pushed towards the earth’s crust and different minerals combine along the way. 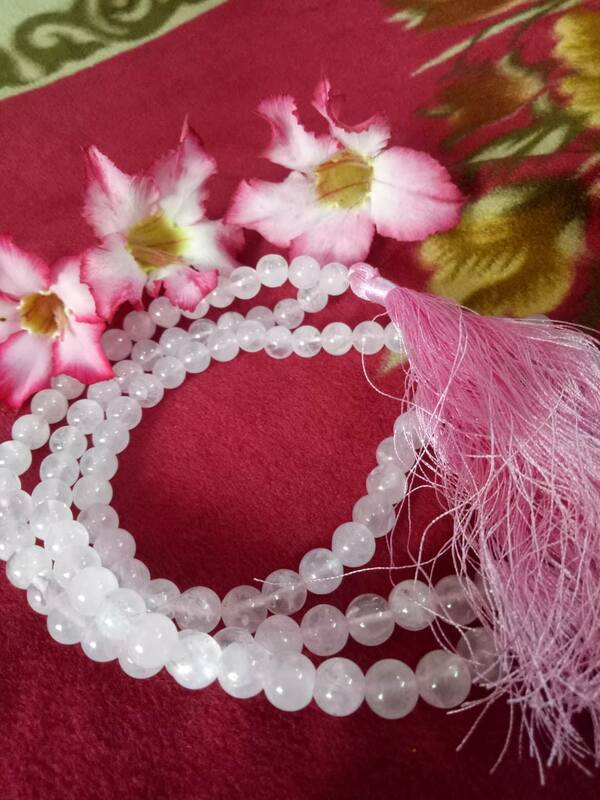 As the resulting magma cools, the different elements and minerals are bonded together to form a quartz crystal.